Shark Attack 744 has been busy this summer! 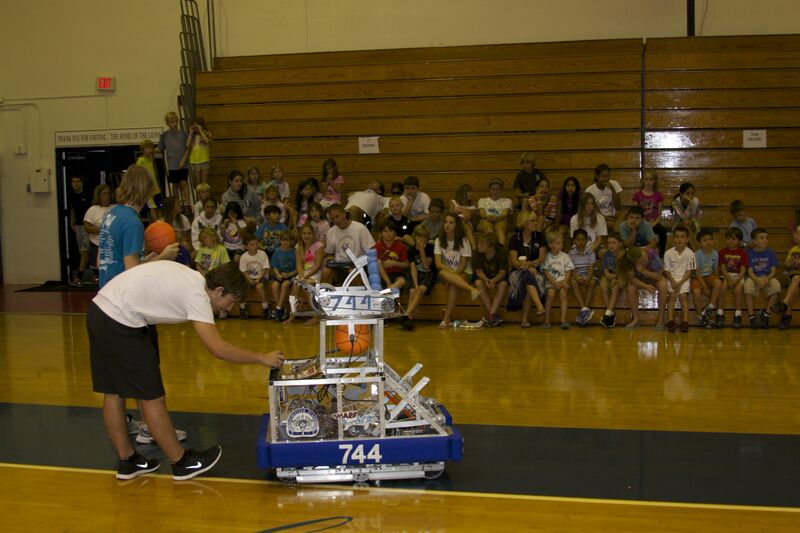 First our robot got dressed up to play a role in the Coral Ridge Presbyterian Church Vacation Bible School! Not sure about the green hair for a shark though…Then the robot visited summer camp at Westminster Academy and played basketball with the kids! Shark Attack dressed up for VBS! Shark goes to Summer Camp! 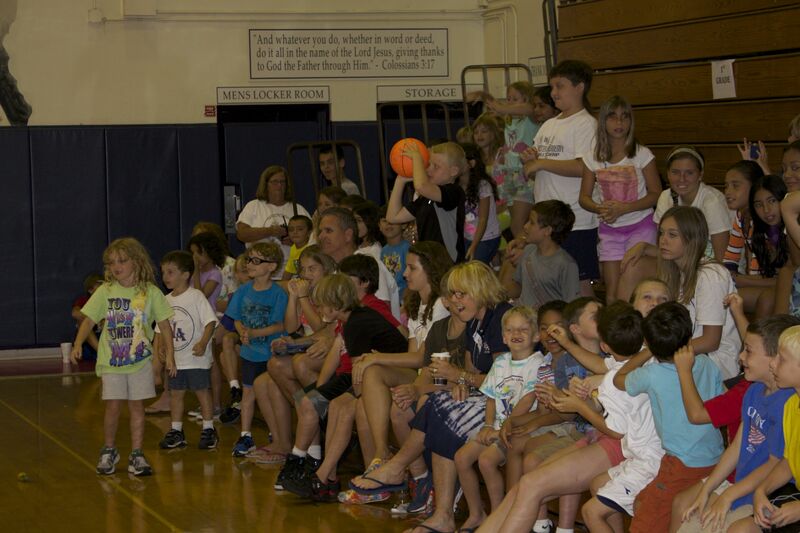 Camp kids catching the balls from the robot!